Yeah, we know, backyard rinks are cool enough as is. You already have one and it's getting good use in the winter and the summer because you're a creative genius. You've done an awesome thing, being a catalyst for the 65% of kids who are participating in sports with friends both outside and inside of the school. Do you want just a backyard ice rink or do you want the coolest one in the neighborhood? When the kids are bored of the same old outdoor activities, a fun and innovative way to get them excited about physical activity again is to build a backyard ice rink. An ice rink in your backyard may sound complicated, but here are five easy steps to doing it. Winter tends to be the most lethargic time of the year. It's too cold and uncomfortable to get your kids outside (only one-third of all children are physically active every day anyway, so your work is already cut out for you). So what are you supposed to do? Give them incentive! Bribe your kids with a guaranteed fun time by offering these three delightful activities they can do in the snow -- and their own backyard. They won't be the only ones having fun when you see how exciting winter can be. Back in 2014, there were about 10.65 million ice skating participants aged six or older. This number is growing every day, and children everywhere are learning how to enjoy themselves out on the ice. A new trend in skating is building your own custom backyard ice skating rinks. To do this you will need backyard rink liners, boards, and brackets. Once it is built, you and your children can learn awesome new beginner skating skills. Here are a few examples. Pew Research has data that shows a huge improvement in the amount of time parents spend with their children. Fathers in particular have tripled their time spent on child care, and despite 71% of mothers now working away from home, they have still managed to spend 57% more time with their children. This is good news for everyone involved, especially during winter when you have an ice rink in your backyard. But winter is pretty much over, and it's about time to clean up the rink. Building your own backyard ice skating rink can be a lot of fun and very rewarding. On top of personal satisfaction at successfully building something and the winter of hockey games to come, you will likely save a good amount of money over time. How? Well, since the United States only has 1,900 indoor ice hockey rinks and 500 outdoor rinks, it can cost a pretty penny to book team time on the ice. As a parent, you'll probably be happy to learn that up to 67% of American teenagers actually would like to spend more time with you. In a turbulent time when hormones are brewing, responsibilities are piling up, and making the right decisions is the most difficult thing in the world, your teenager needs the guidance you are able to provide. Winter is here and there's no time like the present to learn how to build a backyard ice skating rink. You'll be able to use it for romantic nights with your significant other, and your kids will be able to use it to practice for hockey in their free time. You can even get all their friends together for back yard games. Nearly 36 million kids play organized sports each year, and that figure includes millions of young hockey lovers. If you've ever built a backyard skating rink for your young hockey enthusiast, you'll know that a homemade ice rink is an excellent way for them to perfect their skills and have a lot of fun. Hockey is a sport beloved by people all over the world. But even though society has made a lot of headway in terms of gender equality, ice hockey is still considered by many to be a male-dominated sport. There is absolutely no reason that every girl shouldn't try her hand at hockey and learn to love the game. Building a homemade ice rink takes a bit of preparation. It's never too early to start thinking ahead to your rink's installation. We've compiled a few FAQs on one of your ice rink's most important components: your ice rink liners. 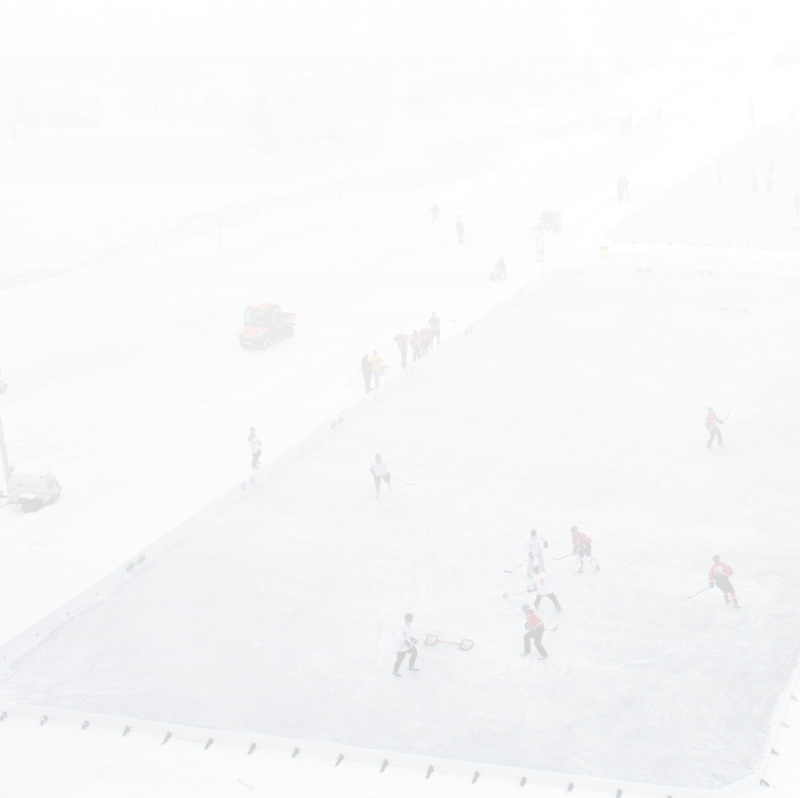 Here are a few things to consider when choosing a spot for your rink. Roller hockey is a great option to stay in shape during the ice hockey off-season. Here are just a few of the many benefits that come from exposing your child to sports at a young age. Although many of us love the events that winter brings -- hockey, ice skating, and the holidays, among others -- we need to take extra precautions when participating in wintertime activities. Installing backyard ice rinks, working on the fundamentals of baseball/softball, and practicing kicking can help your kids thrive in their sports. Spring and summer provide all kinds of opportunities for your child to participate in other team sports. These sports will not only keep them in tip-top shape for hockey season, but they'll also enjoy a number of emotional and social benefits from doing so. We'll take a look at just three of them below. Backyard ice rinks make it easy to practice throughout the winter, but during the spring and summer, you have to make more of an effort. Here are just three tips to help you stay in shape during the off-season. Get ready for next year's hockey games by keeping in shape during the off season. Planning on building your own backyard skating rink? Be sure to follow these three easy maintenance tips for keeping your rink smooth and safe.